This report analyzes the current naval radar market by studying various radar programs that are currently in production or about to enter production. The programs included in this report are drawn from the reports that Forecast International produces throughout the year. This analysis does not cover every naval radar program in production or development, but rather those systems and programs that Forecast International believes are indicative of trends in the industry. This Market Segment Analysis is extracted directly from our Radar Forecast and is designed to provide insightful analysis of niche segments at economical prices. Forecast International's Market Segment Analyses are sold as a Complete Data Package. You receive not only the Analysis and related program reports in PDF form via email, but also a complete set of supporting products that allow you to pinpoint those segments of the market that best inform your marketing strategy. FI's Market Segment Analyses are updated annually, making them indispensable tools for evaluating market potential. Each Market Segment Analysis identifies key growth opportunities, strategic partners, and merger & acquisition targets. What's more, key trends and critical developments are closely tracked to keep you fully up to date on market opportunities. 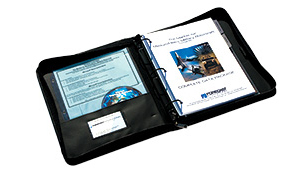 As an added benefit, the Complete Data Package is neatly presented in an elegant zipper case that is ideally suited for executive presentations. Market Segment Analysis and related reports provided in PDF format delivered via email, followed by Complete Data Package sent via express courrier.